Arrrrr, matey! 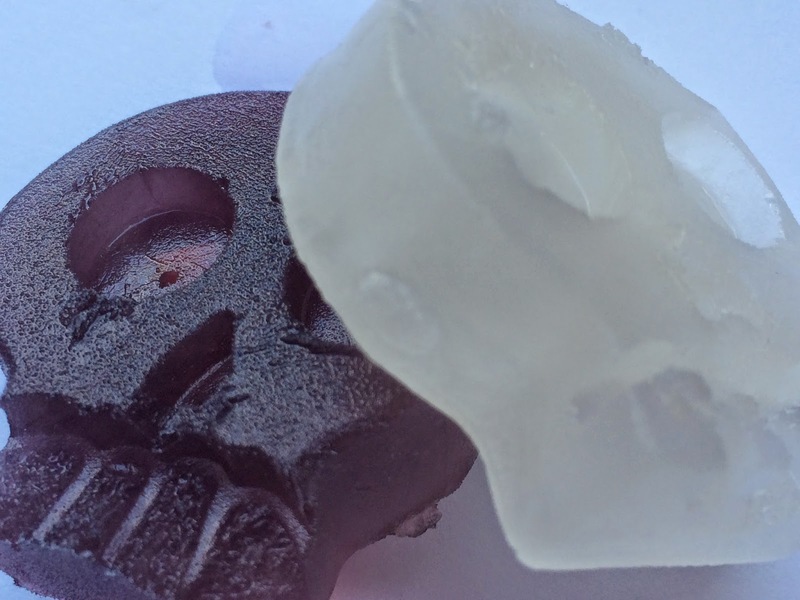 What swashbuckling kid doesn’t want a pirate popsicle? The weather’s getting warmer, summer’s almost here and I’ve been in a mood to freeze everything. From glitter ice cube paints to princess popsicles, I’ve been making quite a lot of sparkly, chilly art and treats. After freezing pink (cranberry-strawberry) juice along with pearlescent sugar and making princess pops, my son said, “No way mom! I don’t want that girly popsicle!” Sure, they were pretty girly (I’ve been on an uber-girly kick lately and making all kinds of princess and fairy themed art), but he did agree that they were tasty too. So, I thought- why leave the boys out? Yes, they can enjoy the princess pops just as much as their female counterparts. But, just in case your little dude thinks the pink cubes are a dud, you can try a “boyish” substitution. As a bonus, this kids’ cooking activity includes a science theme. Your child can explore the states of matter, watching the pops freeze and then later melt as he eats them. I was originally looking for star-shaped ice cube trays (to make the princess pops), when I came across skill and cross-bones molds. 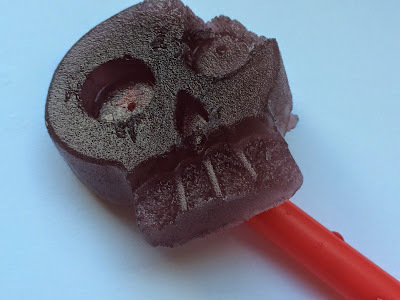 Instead of adding the pastel pink and purple pearlescent sugar and light-hued juices that I used in the princess version, pirate pops have gold-colored sugar (the pirate’s gold treasure is buried inside of the popsicles) and darker juices. 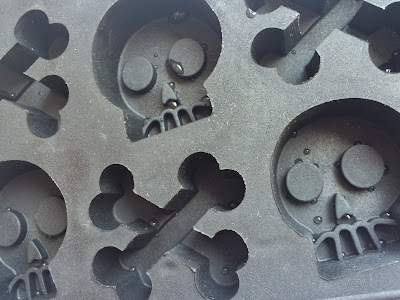 · Skull and cross-bone mold- Even though it sounds like a super-specialty, this was oddly easy to find at my local bed and bath super-store. If all else fails, buy one online. · Juice – I used cherry juice for a darker color and lemonade for a clear version. · Gold-colored pearl sugar – You can find this with the cupcake toppings and sprinkles. If you can’t find it, mix course sugar with yellow food coloring. 1. Sprinkle the “pirate’s booty” (the gold sugar) into the bottom of the ice cube tray. Have your child create a thin layer with the sugar. 2. Pour the juice onto the sugar. Your child can stir each watery cube together, mixing up the sugar and juice. 3. Ask your child what he thinks will happen to his creations when they get cold. Put the cubes in the freezer. 4. Cut the straws in half. Each half becomes a popsicle stick. 5. Periodically check on the cubes. Your child can make observations as to what is happening as the liquid freezes. 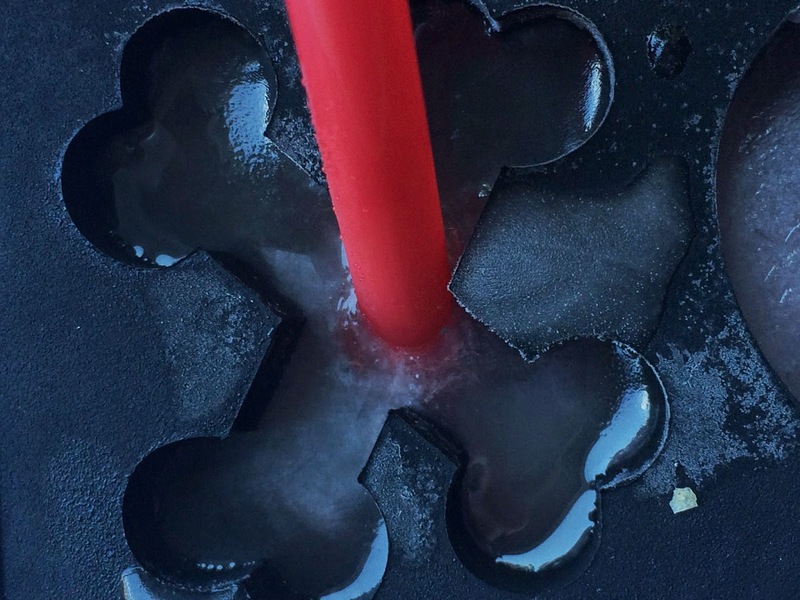 When the cubes are semi-frozen, push a straw half into each one. 6. 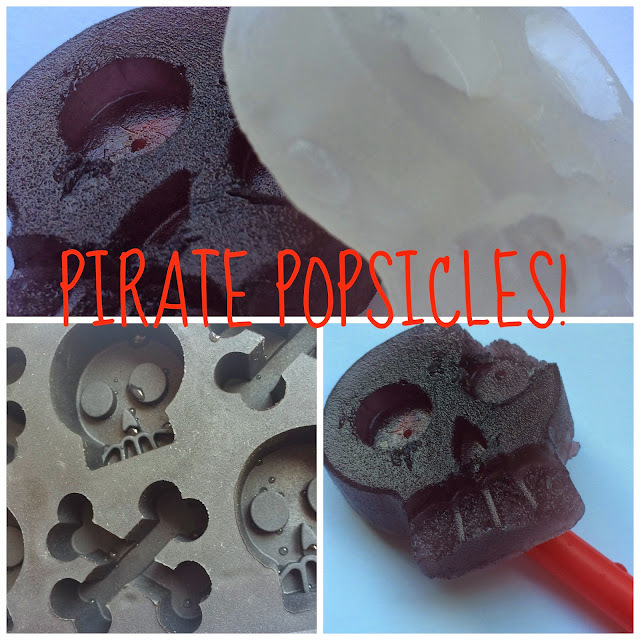 Take the pirate pops out of the freezer when they are completely frozen and enjoy! 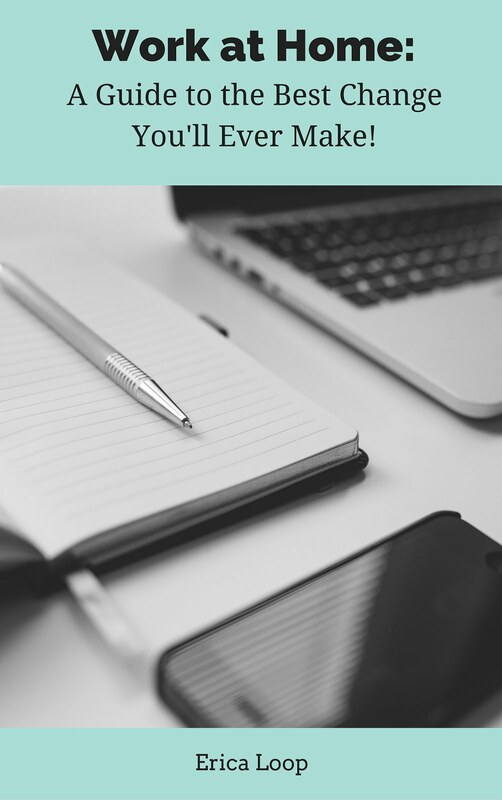 Are you looking for more summer ideas to beat the heat? Check out and follow my kids' summer activities board on Pinterest. Follow Mini Monets and Mommies's board Kids' Summer Activities on Pinterest. Glad I could bring you enough variety! Thanks so much! I'm glad that you enjoyed! What a great treat for the little ones - thanks for sharing it with us at the #WWDParty. Have a great weekend! These are amazing! I'm saving this post for a future pirate themed birthday party!! Now I need to check out those princess pops for my daughter! Thanks so much! They are fun for a themed party. My son would love these! Pinned it. Thanks for sharing on Traffic Jam Weekend, Erica. Help! My Child Hates Art!